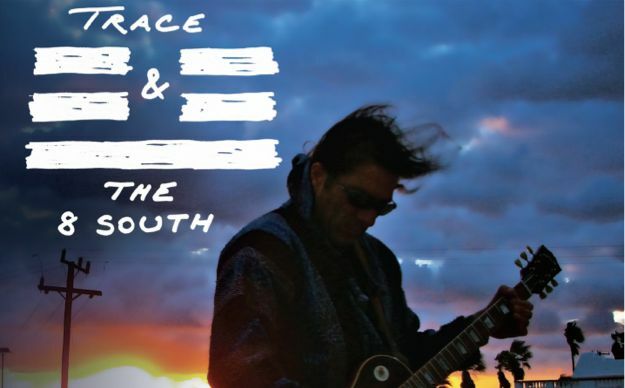 ​​Trace, Keven and Paul have come together for one amazing night of music, to share their passion with their fans and to support and awesome organization, Cloud Covered Streets, with a mission to help the homeless population. Trace writes music that centers around the human condition. Soulful vocals with lyrics that leave a mark. I call it rock n roll that’s good for the soul. Cloud Covered Streets came about from me just driving around Phoenix and seeing those that live on the streets wearing dirty clothes, often with holes and tattered. I thought to myself that I own a clothing company and I had to do something to help. So, I went and ordered a ton of shirts, put the Paper Clouds Apparel logo on them (that is my clothing business) and was going to hit the streets and pass them out. Then I started thinking more on the idea and wanted to give these people more than just a shirt, I wanted to give them all a handwritten letter of hope. Who knows how long it has been since any of these people received anything like that. So, I posted on the Paper Clouds Apparel social media pages and soon letters were pouring in from all across the country. About the same time, I was hanging out in the tattoo shop run by my good friend Bee DeVille as my friends Andrew Cooper and Shane Britt were getting new tattoos. We got onto the topic of how we were all men who believe in God and a higher power but we also tend to cuss, fight, and carry on from time to time. The saying “I love Jesus but I cuss a little” came up. At that moment, I decided to put that phrase on a shirt and surprise a bunch of my friends with these shirts at a show they were having at RockBar, my buddies are country musicians. At the show, I was passing out shirts and people started approaching us wearing the shirts and asking where they could buy one. A light bulb went off in my head and I realized I could sell these shirts and 100% of the proceeds would go to clothing and helping the homeless. At this same concert, I was approached by a young lady named Brie Marok and she told me that she wanted to help with passing out the shirts and in any other way I need it. So, a week later we went out on our first mission to look for those in need and to get them a shirt and a letter of hope. One of the first people we encountered was a man we saw in a park and at the time he had no shirt on. We approached him and earned his name was Daniel and that all his clothes had been stolen a week ago. So, when we gave him a shirt, that was literally his only article of clothing. Daniel put his head in his hands and started to cry tears of joy when we gave him a new shirt. It was a moment I will never forget and gave me validation that what I was doing was important.